One of my favorite little stores in San Diego is The Library Shop, located on the ground floor of the new San Diego Public Library, so you can only imagine how excited I was to be approached by their brilliant buyer about a wholesale account (hint: very). Every time I enter the store, it has a new captivating layout that compliments the featured items and introduces me to something new. I never feel lost or overwhelmed, and I don't think I've ever left without buying something. 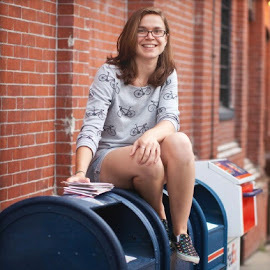 To me—she who lives off a fledgling-artist's non-salary and egg sandwiches—that's a really good sign. Between living quite close and now working with the store, I am delighted to pop in on a somewhat regular basic, especially when I walk in to see my own work next to the likes of Emily McDowell, Rifle, and Sugar Paper. And if anyone's looking for a last-minute Valentine gift to go with that beautiful new Warren Tales card that you just charged out to buy (or is trying to platonically "woo" me *coughcough*), you should definitely check out Missed Connections: Love, Lost & Found by Sophie Blackall, conveniently available in-store. 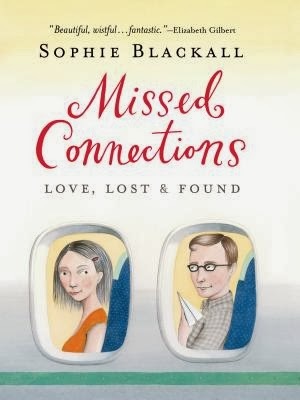 If you need more convincing of its brilliance, just check out this story on the Missed Connections Blog (I challenge you not melt). Happy Valentine's Day to all (tomorrow), and to all a fulfilling shopping experience!